Planned Parenthood has received negative press recently after some of its representatives were filmed negotiating prices for the sale of organs from aborted babies. Many have expressed outrage, and rightly so, because it is an abomination. Not only does Moloch want his child sacrifices, he wants to turn a profit on the deal! But why is it evil to sell tiny livers and hearts? Of course, the answer is, because a tiny human being was killed in the process. 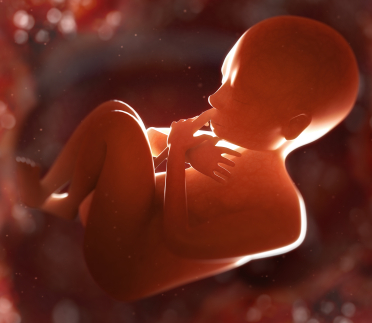 There is an innate recognition that the unborn child is precious, far more than the $100 price negotiated for his or her liver. This is because the child is created in the image of God, and to kill the child intentionally is murder—even if this form of murder has been sanctioned by the laws of the nation. That is why mistreatment of fetal remains provokes outrage—even moreso sometimes than the murder of the tiny child in the first place. Another recent example was the discovery that fetal remains were being thrown in the trash and burned to heat UK hospitals. But if the child were only a tumor, or if the tissue was just a part of the woman’s body, why should selling his or her remains for medical research provoke disgust and outrage? HeLa cells have been used in many research applications—derived from the cancer that ultimately killed Henrietta Lacks. But the Planned Parenthood actions are more like the work of the Nazi doctor Josef Mengele, who performed grotesque experiments on the Jews in Auschwitz. Indeed, many of the aborted babies would be developed enough to suffer intensely as they are dismembered alive, just as Mengele’s victims suffered as he inflicted cruel and needless suffering on his victims. However, abortion has killed many millions more people than the Holocaust did. Moloch was the pagan god of the Ammonites and Phoenicians to whom parents sacrificed their children. They were barbarians. Molech (also Moloch) was	the national deity	of the heathen Ammonites, a fire god commonly worshiped throughout the ancient near East and North Africa, by Canaanites and Philistines, Arameans and Semitic peoples and later, Phoenicians. He was known by many names, all signifying the same false god. I believe this was a form of abortion back then, done under the good intention of worshipping Moloch. It is sad that our nation's leaders worship Moloch at Bohemian Grove, and they are the ones who legalized abortion in 1973 (Roe vs. Wade), and tens-of-millions of Americans are sacrificing their children on the alter of abortion. Is it mere coincidence that abortion was legalized in 1973, when Bohemian Grove has existed for over 100-years? Are Americans in reality offering up their children to Satan in a sacrifice? The FACT of the matter is that the leaders who legalized abortion do worship Moloch, and do offer burnt human sacrifices to him every year at Bohemian Grove. That is a fact, not mere speculation. Eph. 5:11 And have no fellowship with the unfruitful works of darkness, but rather reprove them. 12 For it is a shame even to speak of those things which are done of them in secret.